On arrival at Bhubaneswar / railway station transfer to hotel. 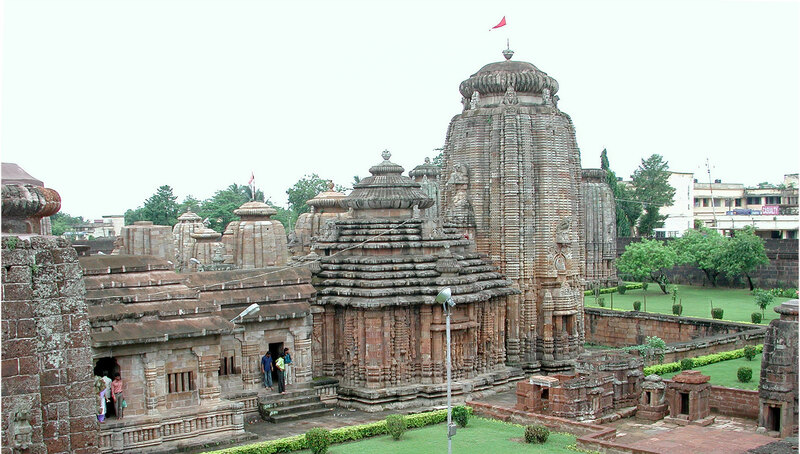 Bhubaneshwar is the capital of Orissa state. Bhubaneswar is often referred to as a Temple City of India. Together with Puri and Konark and, Bhubaneswar forms the ‘Swarna Tribhuja’ (the ‘Golden Triangle’). Later half day sightseeing of Tribal Museum ( closed on Monday) – Tribal Museum, at the back of the famed Jagannath temple at Koraput. You can learn about life styles of the tribes and their culture, Khandagiri & Udaigiri Jain caves- The twin hills of Kumargiri and Kumarigiri known as Khandagiri and Udaygiri contain varieties of rock-cut caves, built mainly for the jain monks around 1st – 2nd century B.C. Morning drive to Puri enroute visit Dhauli the peace pagoda – Surrounded by paddy fields, the Dhauli hill brings back memories of the historic ‘Kalinga war’ which was fought around here. It is here that Ashoka, the terrible, was transformed into Ashoka, the compassionate and championed the cause of Buddhism, Pipli the applique village – Applique work forms a major part of the handicrafts of Orissa. The applique work is a piece of art that is done by cutting beautiful pattern on a piece of cloth, which are then stitched beautifully on another piece of cloth. & Konark Sun temple – Konark is a small town in Puri district on the Bay of Bengal, sixty-five kilometers from Bhubaneswar. It is the site of the 13th-century Sun Temple . The poet Rabindranath Tagore wrote of Konark: “Here the language of stone surpasses the language of man.” Konark literally means “Essence of the Corners”.Then proceed to Puri. Puri is a part of the Char Dham pilgrimages that a Hindu has to visit in one’s lifetime.Rest time relax on the beach. Overnight at Puri. Morning visit to Jagannath temple (non hindus are not allowed) – Shri Shri Jagannath Mahaprabhu lord of the Universe is the supreme solace and saviour of countless devotees around the world, since time immemorial, His monumental and magnificent Shrine at Shri Purusottam-Kshetra (Puri) one of the four major Dhamas of India has been a most sacred centre of pilgrimage. Then drive to Chilika lake – Chilika is recognized as one of the most important wetlands in the world because it is home to a phenomenal variety of birds. Chilika Lake offers visitors a spectacular display of its colorful avian charms in a thousand different hues presented by over 160 species in the peak season between November and February. Then take the boat cruise to visit the Irrawaddy Dolphins. Enroute visit Raghurajpur craft village - Famous for its Patachitras, a small village has been the residence of Oriya artisans who have mastered the skill of inscribing absolute poetry on pieces of treated cloth, dried palm leaf or paper.. Return back to Puri. Overnight at Puri. Morning drive back to Bhubaneswar and visit to temples including Rajarani – Rajarani temple is one of the most renowned temples in Bhubaneswar. It is made from the wonderful red and gold sandstone, which is locally known as Rajarani and this is what gives the temple its name of ‘Raja Rani’, Parsurameswar – Another popular temple of Lord Shiva, the Parasurameswar Temple is one of the ancient temples of Bhubaneswar, built in 650 A.D. This is the only temple which has one thousand lingas within the premise. Mukteshwar – Mukteshwar temple, one of the most prominent temples of Bhubaneswar, has been constructed in the style that is quite similar to the one used in the Kalinga School of Temple Architecture & Lingaraj - Lingaraj temple is one of the most popular temples of Orissa. The temple is dedicated to Lord Shiva, also known as ‘Lingaraj’. It is adorned with beautiful sculptures, which have been carved on the spire. Then visit to Nandankanan Zoo ( closed on Monday ) – The Nandankanan Zoo is not just a regular zoo but a sanctuary and a botanical garden all rolled into one. It is situated on the shore of the Kanjja Lake. Overnight at Bhubaneswar. Morning transfer from hotel to airport / railway station for onwards journey.